11.24mm x 15.84mm / 0.443in. x 0.624in. Cowboy Hat Charm by Rembrandt Charms. The height is 5/8 of an inch. Yee-haw! 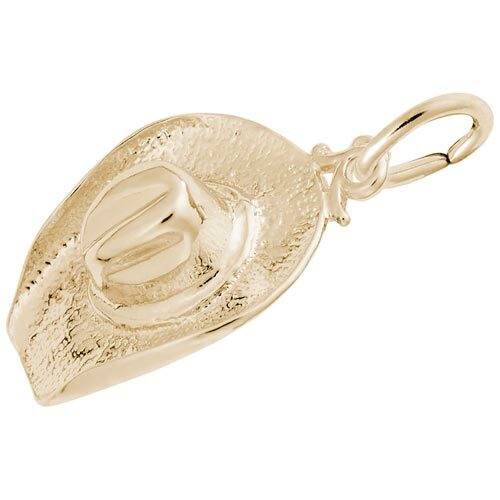 Express your inner southern and country style with the Cowboy Hat Charm. This charm is perfect for those who love country music too. This cowboy hat jewelry can be placed on a necklace as a pendant or will be a wonderful addition as a charm for a Charm Bracelet. All Rembrandt Charms are available in either silver or gold.